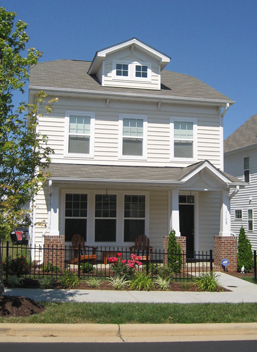 This collection of narrow lot plans had alley-loaded garages in the rear of the plan. The three models were only 23 feet wide and ranged from 1700 to 2000 square feet. Each model had three elevations in local vernacular styles to enliven the street scene. 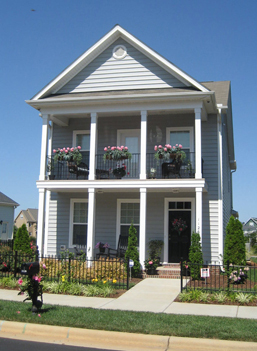 Each model had a generous front porch as well as a rear patio or screened porch.